I Helped Create This Mess. Here's How To Fix It. Something we can all agree on? Social Media is a cesspool, right? I think that is something we can all agree on. Certainly today's highlighted story on the extreme lunatic reactions to one story is a perfect example. But, more importantly, are two articles, one from yesterday and one from last year, that speak to the problem. One from the left and one from the right. Yet both saying the same thing. 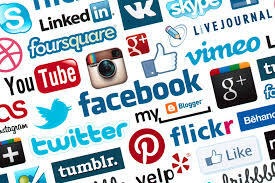 Social media is harmful to mental health as currently used by young people and destructive to society as used and honored by the mainstream media.